Stay on trend at Portland Marriott Downtown Waterfront, our reimagined hotel directly on the waterfront in downtown, surrounded by more than 60 breweries. Discover the Portland possibilities with a trip to Lan Su Chinese Garden, the Oregon Zoo or an excursion to Powell's Books, one of the country's best-known independent bookstores. 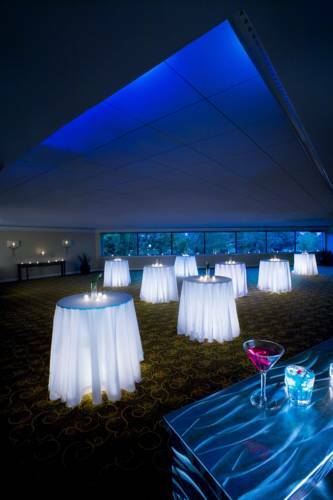 Our updated event spaces offer on-site planners, photographers, catering, advanced technology and inspiring waterfront views. Keep up your routine at our hotel fitness center, then wind down with friends by sampling some of the 150 types of whiskey at our on-site restaurant, Proof Reader. Our hotel even helps you go green with complimentary car-charging stations, biodegradable straws and easy access to the TriMet MAX line from the nearby light rail transit station. At night, retire to elevated guestrooms with 24-hour room service, waterfall showers, free Wi-Fi, premium channels and views of Portland. Experience the best of Portland at the Portland Marriott Downtown Waterfront. Truss: Wake up to a delicious meal on the waterfront at Truss, our downtown Portland hotel restaurant. Open for breakfast, enjoy a variety of local, freshly-prepared ingredients served buffet-style in a casual atmosphere by the Willamette River. Proof Reader Whiskey + Craft + Kitchen: Savor the nuanced flavors of more than 150 types of local and global whiskies at Proof Reader, also offering craft cocktails and authentic Pacific Northwest cuisine. Try the High Proof Burger, infused with whiskey, at our Portland hotel restaurant.